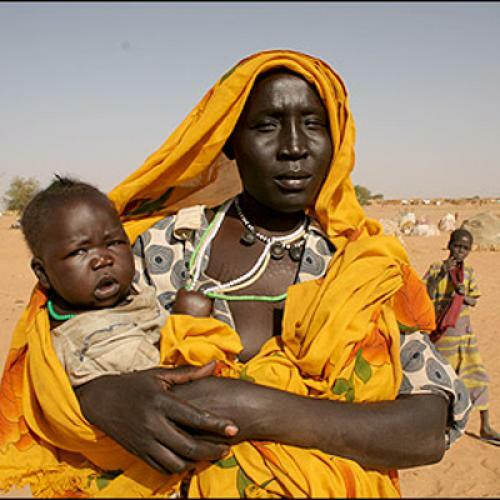 Victims in Darfur are no longer seen, heard, or helped. Last month, the International Criminal Court (ICC) issued a warrant with additional charges against Sudanese president Omar Al Bashir: three counts of genocide in Darfur. It was an important historical moment. Never before had the court leveled genocide charges at a current head of state. But, for policy and opinion-makers in Washington, the event was merely a footnote lost among a host of other competing priorities. That's because, two years after candidate Barack Obama criticized then-President Bush for a policy of “reward[ing] a regime in Khartoum that has a record of failing to live up to its commitments,” he has appointed a special envoy who is the very embodiment of such accommodation. Indeed, former Air Force General Scott Gration publicly complained in mid-July that the genocide charges would “make my mission more difficult.” In part as a consequence of such attitudes, the United States and much of the international community have been visibly incapable of responding effectively to the interlocking crises in Sudan. Their attention has been sliding from emergency to emergency—from the expulsion of humanitarian aid from Darfur in March 2009, to the frantic damage-control efforts during President Al Bashir 's fraudulent reelection campaign in April 2010 , to the multiple agreements that must be finalized before the January 2011 referenda on South Sudanese self-determination—and they have been outmaneuvered by a Sudanese regime that has successfully played these crises off each other. There's a very real chance that this state of affairs could have catastrophic repercussions for the north and the south, including a resumption of the country's civil war. And, in addition, there is a hidden cost: This lack of focus is producing terrible, perhaps permanent consequences for the people of Darfur. Here's the situation there right now: Humanitarian indicators, especially in North Darfur, are ominous, particularly malnutrition levels ; yet both U.N. agencies and International Nongovernmental Organizations (INGOs) refuse to speak about conditions candidly. In the wake of the March 2009 expulsions, the U.N. Office for the Coordination of Humanitarian Affairs no longer produces its comprehensive, detailed accounts of humanitarian conditions throughout Darfur. The 13 expelled international humanitarian organizations, which together provided approximately half the aid capacity in Darfur, have been only partially replaced; and the overall quality and capacity of aid operations remains much reduced. Malnutrition studies have been held hostage by Khartoum with no effective protest, despite the importance of such data for work in the field. Regime officials have demanded, and been granted, a role in the collection, analysis, and promulgation of humanitarian data—and have made clear they are willing to use their veto power if studies are judged too damning. And, most importantly, access for aid workers is at an all-time low, and shrinking rapidly, chiefly for lack of security. The humanitarian community lives in fear following the expulsions, and rightly so. Two senior expatriate workers for the vital International Organization for Migration were recently expelled, apparently in retaliation for the ICC’s action last month, further reducing humanitarian capacity. The killing and abduction of humanitarians has continued to increase from already intolerable levels. And the U.N. peacekeeping mission that is supposed to be protecting them, UNAMID, is itself hamstrung by inadequate resources, a lack of trained personnel, poor morale, and brazen obstruction of its investigations by Khartoum's security forces. It has become the target of militia elements clearly aligned with the regime, and, at this point, 27 UNAMID peacekeeping personnel have been killed. Many others have been wounded and abducted. And there are questions as to whether UNAMID's mission can be sustained in light of harassment from Khartoum—even though withdrawal would lead to uncontrollable violence. How is it that these depredations have become largely invisible? In addition to self-censorship by aid organizations and the U.N. , Khartoum 's strategic use of insecurity and its refusal to grant access even to secure areas has denied most of rural Darfur and many camp areas the presence of international eyes and ears. In the past, these were essential ways of keeping events in Darfur before the world, a fact not lost on Khartoum. The regime's response has been what Human Rights Watch has called "Chaos by Design," the deliberate engineering of insecurity as a means of controlling the movement of international aid workers and the civilian population. As a well-informed U.N. official pointed out to me recently in explaining Khartoum 's tactics, "The reality is that the same groups, affiliated through a well-known set of leaders, are responsible not only for the kidnapping of [the American woman aid worker abducted on May 18, 2010 ], but also the Rwandan killings [in the June 21, 2010 assault on UNAMID peacekeeping personnel] , and the [June 22, 2010] abduction of the [two German aid workers from] Technisches Hilfswerk ." Moreover, Khartoum has grown even more restrictive in allowing journalists and others to travel to Darfur. Wire reports and news dispatches now very rarely have a Darfur dateline, and then, only from the well-controlled Nyala and El Fasher urban areas. There is very little reporting, except by Darfuris themselves, on the remaining non-Arab or African populations, a huge percentage of which are in camps for the displaced or refugees inside Chad. The latest U.N. figures indicate a total of three million people who have been forced from their homes, and that total shows no signs of diminishing, despite various mendacious claims by Khartoum. Indeed, more than 500,000 civilians have been newly displaced since January 2008, when UNAMID formally took up its mandate of civilian and humanitarian protection. This was only one of many reports publicly available that proved simply too inconvenient for those seeking to secure the CPA; in the end, there was almost no international pressure on Khartoum to halt the genocidal counterinsurgency during its most violent phase. When the world finally turned its attention from South Sudan to Darfur, the consequences of previous inaction were all too apparent. The vast majority of African villages in Darfur had been destroyed, typically with a terrifying completeness. Mortality was already in the hundreds of thousands. What's more, in the intervening years, our diplomatic failures have made it more likely that the Darfuris' expulsion will never be reversed. Since the beginning of the genocide, Arab militia members have been seizing land from the displaced populace. Now, Arab groups from neighboring countries such as Chad and Niger have taken up residence, with Khartoum 's encouragement, on the land of the displaced, often as payment for their efforts in the counterinsurgency. Recent reports make clear that this is becoming the new status quo, and those few Darfuris attempting to return to their lands are finding intolerable insecurity. Camps for displaced refugees are themselves increasingly encountering shortages of food, clean water, primary medical care, and a lack of adequate sanitation and hygiene. Following last year's poor rains, an inadequate rainy season this year will likely deplete the ground reservoirs in many locations and precipitate disastrous water shortages amid dense concentrations of human beings. Yet, despite the extreme vulnerability of Darfur, it is the lurching diplomatic efforts toward South Sudanese self-determination that dominate current international attention, and they too are belated and insufficiently coordinated. Meanwhile, far too many observers ignore the continuing reports from Darfur of large-scale, ethnically based human destruction, which has diminished significantly since 2003–2005, but nonetheless continues, most recently in the Jebel Marra region. This state of affairs is not tenable. The Darfur peace process itself is thoroughly muddled, as Arab League countries (Qatar, Egypt, Libya) continue to fight over which country will sponsor the talks; disputes within the African Union continue to fester (the chief U.N. peace mediator, Djibril Bassolé of Burkina Faso, is being undercut by the AU's ambitious Ibrahim Gambari of Nigeria, who heads UNAMID ); and the dysfunctional U.S. special envoy, Scott Gration, speaks of dealing with Khartoum's génocidaires by rewarding them with cookies, gold stars, and smiley faces. Meanwhile, the rebel groups themselves have proved hopelessly fractious following the agreement that was railroaded through in Abuja in 2006, and they can lay very little claim to representing Darfuri civil society during the past year's negotiations. Cruel and selfish calculations have too often governed the behavior of rebel leaders, who are increasingly divided by ethnicity, ideology, and even personality. And, insofar as Darfuri civil society has tried to assert itself in the peace process, it has been largely obstructed by Khartoum. On top of that, we have no idea how many are dying each month in Darfur: UNAMID merely counts the violent deaths it encounters during its highly circumscribed travels, and even it reports that many hundreds have died in the last couple of months. Mortality from malnutrition and disease that are a function of earlier violence—as well as violent mortality beyond the reach of UNAMID—are simply statistically unknown. Events there are occurring inside a black box. Fewer aid workers observing, many fewer news reports, a high degree of self-censorship, and Khartoum's active obstruction of movement and access throughout Darfur have all rendered the situation largely invisible. In the words of a U.N. official speaking confidentially about the attenuated humanitarian response to desperately needy Darfuris, their plight is "[n]ot seen, not heard, not helped, therefore not recorded." All of this ensures that we know far too little about what is happening in Darfur, and this state of affairs is not likely to change in the foreseeable future. The longest genocide of the past century—and once the best reported—is disappearing.